Like other HomeKit smart plugs on the market, the Incipio Wireless Smart Power Strip can turn a "dumb" device into a HomeKit-controlled accessory. Such setups work best with appliances that can instantly turn on when power is connected. But rather than just one or two smart outlets, the Incipio HomeKit accessory includes four connected plugs in a standard power strip design. All four outlets can be controlled discretely through Siri, Apple's Home app, and third-party HomeKit applications. In addition, the smart strip will also measure power consumed by connected devices, allowing users to track their electricity usage. 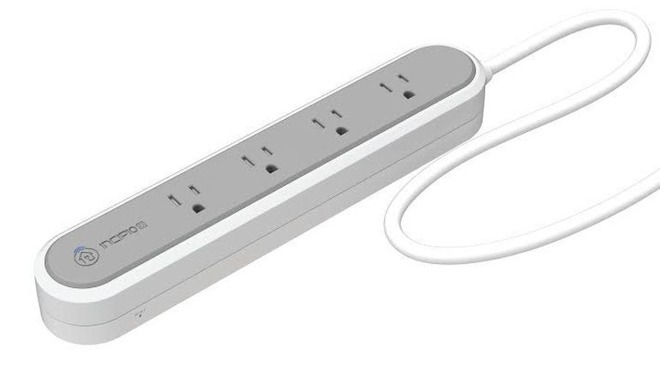 And because it's part of Incipio's CommandKit product line, the power strip is also compatible with Amazon Alexa, allowing voice commands from accessories like the Echo. Incipio's CommandKit Wireless Smart Power Strip with Metering will retail for $99.99, and is scheduled to launch in the second quarter of 2017. The company also announced a new CommandKit Wireless Smart Wall Switch with Dimming at the Consumer Electronics Show this week. The switch provides the ability to power and dim lights in an entire room. Going beyond some other HomeKit-connected smart switches, Incipio's product also includes a moition sensor to trigger smart functionality to other connected products. 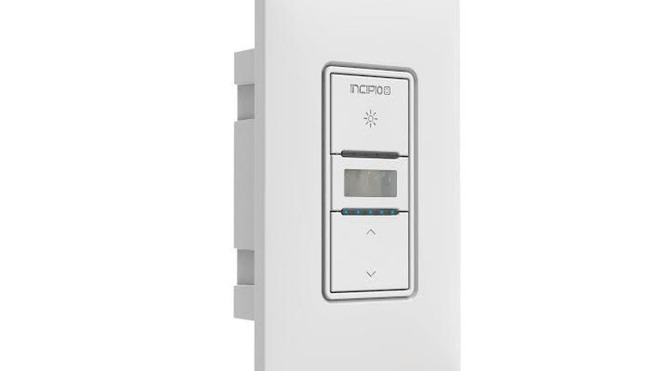 Incipio's CommandKit Wireless Smart Wall Switch with Dimming will retail for $59.99, and like the smart power strip, it is scheduled to arrive in the second quarter of 2017.